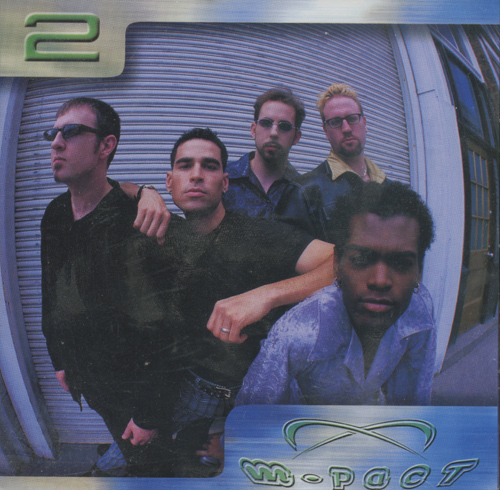 1996 Harmony Sweepstakes winners m-pact are back with this, their second CD. Two new members have joined the group: Britt Quentin and Greg Whipple. Britt's tenor voice-and-soul are shown to impressive advantage in the Earth, Wind & Fire song "Fantasy," the album's only cover. The original songs demonstrate an R&B sensibility, coupled with pop hooks. The standout songs are "Hold On My Heart" and "Without Your Love," which combines great material, a powerhouse vocal (by Greg), and an exceptional bass performance. In general the bass is placed and articulated so that it really fills up the bottom end, and is one of the main reasons this CD feels so good. We expected no less!